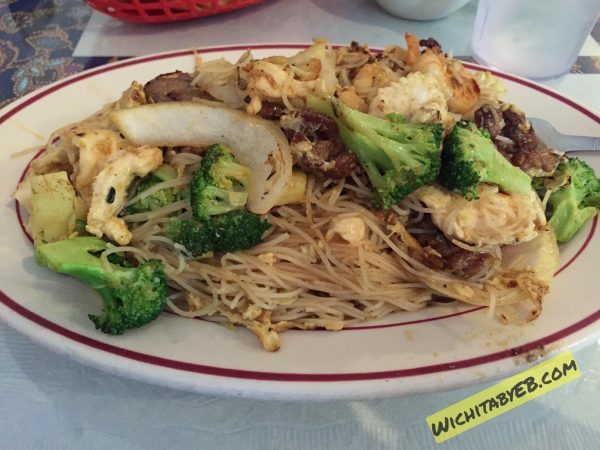 Cafe Asia still offering some of the best Chinese and Malaysian food in town – Wichita By E.B. I’ve lost count of how many times I’ve been to Cafe Asia over the past decade. 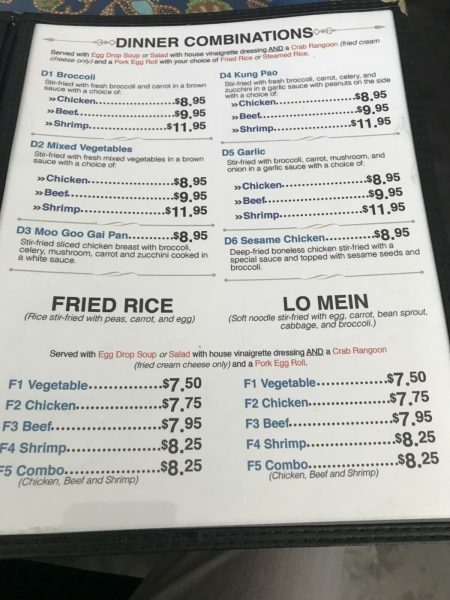 I’ve also lost count of how many times people have asked about Cafe Asia. Over the years, I’ve been referring foodies to this restaurant located at Central and Woodlawn. Sometimes I’ll even get emails or texts from people telling me I have to try Cafe Asia with fifty exclamation points. So it’s time to give even more love to one of the best little gems on the northeast side of town. 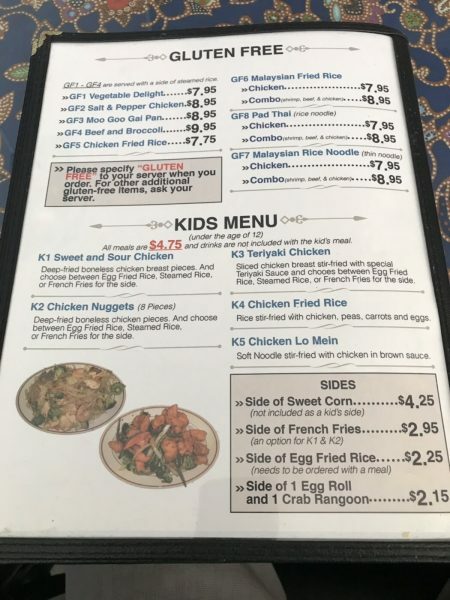 A few years ago, I wrote a small little piece on my favorite dish there, the Malaysian Rice Noodle. It’s always fantastic and a go to dish for me. Well in recent weeks, a colleague had been telling me about his favorite dish: the Thai Penang Curry with Chicken. After he told me, I realized it’s been a long long long time since my last visit. 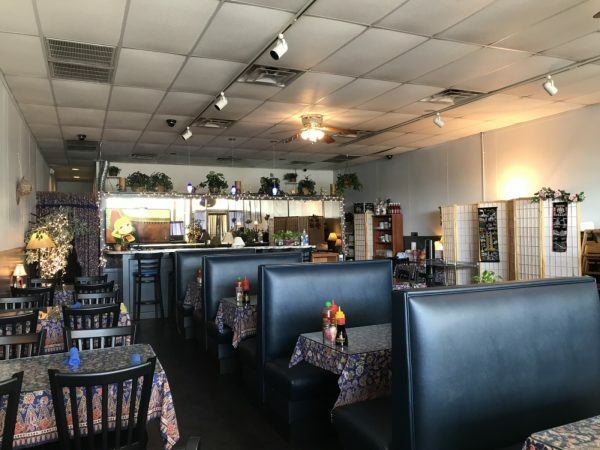 Since then, Cafe Asia has renovated the restaurant, painted their walls, changed their floors and brightened the interior. It was like walking into a brand new clean restaurant. I have to add, Cafe Asia does a great job of keeping the place tidy. 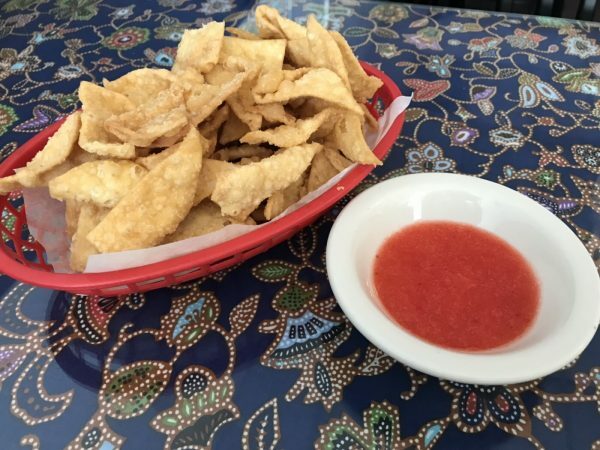 As with any visit, you’re given fried wonton chips with a strawberry jam as an appetizer. To those people who love free chips and salsa at Mexican restaurants, you’ll love this. 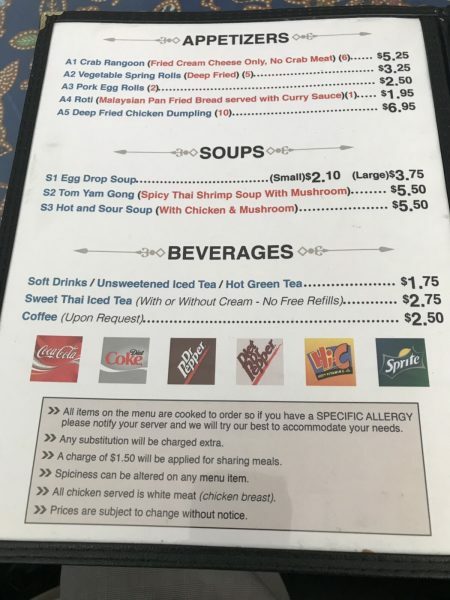 Most meals are served with your choice of egg drop soup or house salad. 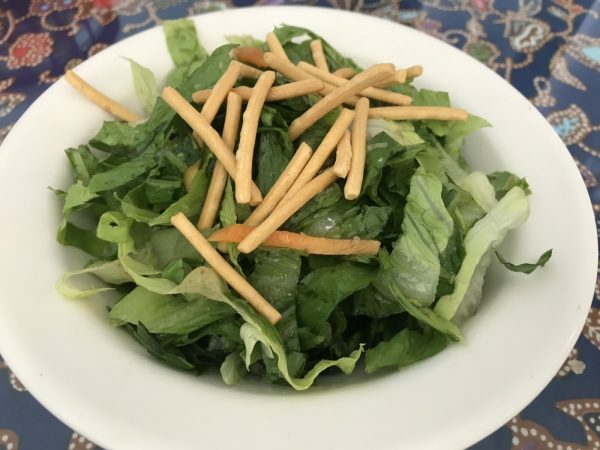 9 times out of 10, I order the egg drop soup but for this particular visit, I went with the house salad. It’s very basic and light; no frills. 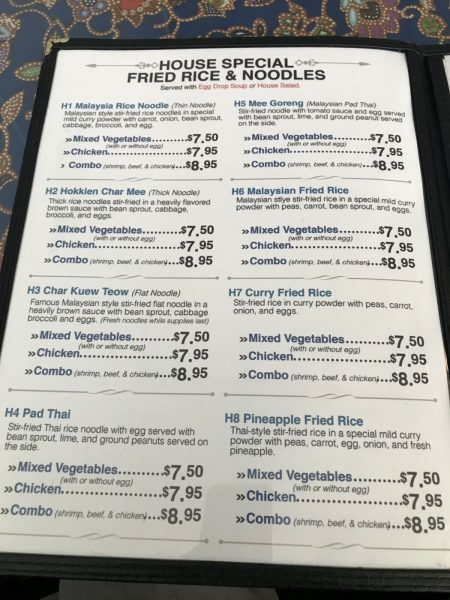 My main entree was the Thai Penang Curry with Chicken which costs $8.95. 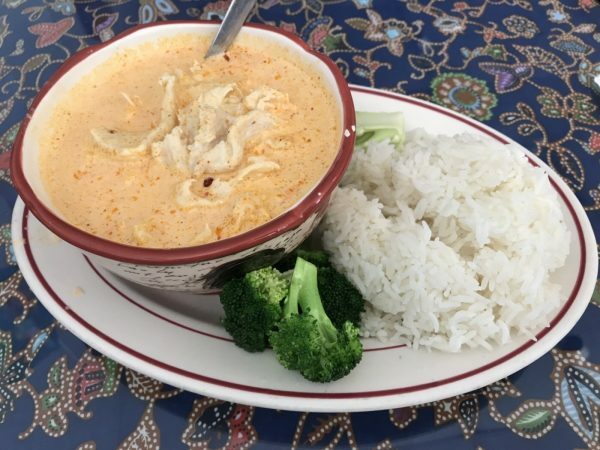 This dish is a Thai Penang Curry paste cooked in creamy half & half and topped with broccoli. 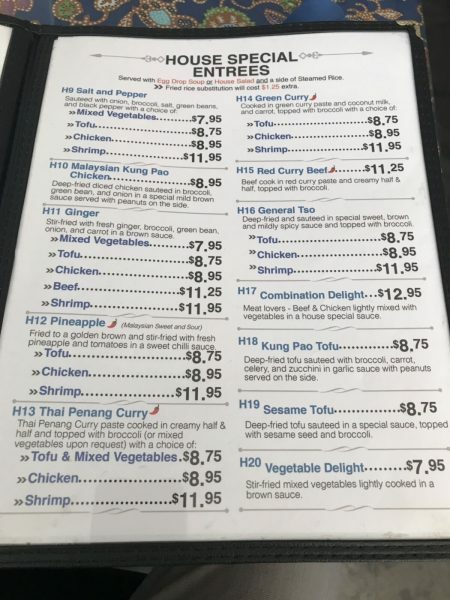 It’s then served with a side of steamed rice. I don’t typically order curry dishes at restaurant but this one I’ll have to always make an exception for. The curry had a refreshing lemony taste to it. The chicken soaked it up and offered plenty of flavor. Pouring it out on top of the bed of rice made for an incredibly filling and appetizing dinner. Kudos to my colleague for this dinner referral. 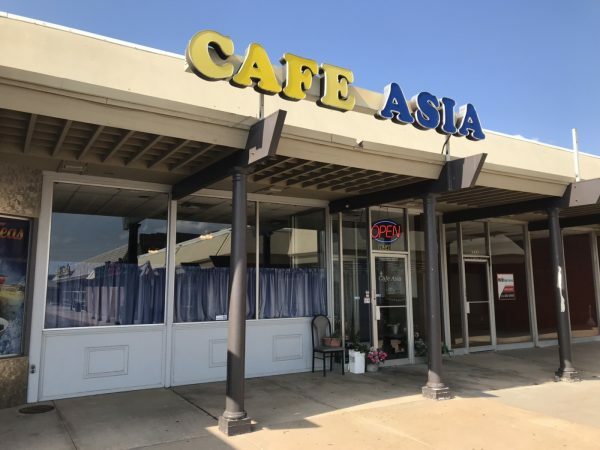 Overall, it was just another one of many wonderful visits to Cafe Asia. In my numerous stops there, I can say with complete honesty that I’ve never had bad service there. 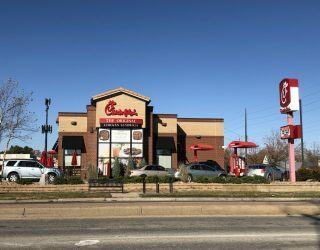 It’s never been slow and all the employees have always been happy to serve the customers. It truly is one of my favorite little gems in Wichita and one that should get more pub. Give these guys a try if you haven’t before, I hope you’ll love it as much as I do.